Additional Description: Marker is on a building at the New York Stock Exchange, seen here. 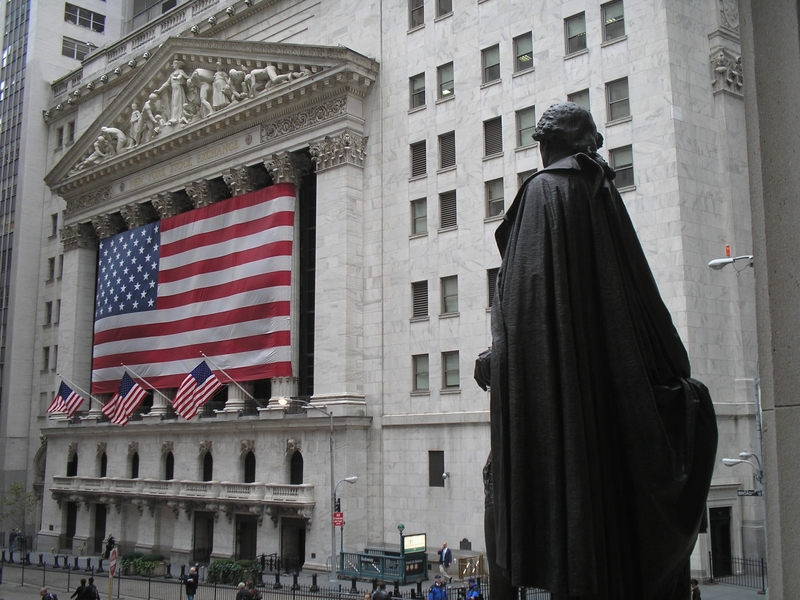 This photo was taken from the steps of Federal Hall where George Washington (pictured) took his first Presidential Oath of Office. Submitted: June 27, 2009, by Bill Coughlin of North Arlington, New Jersey.